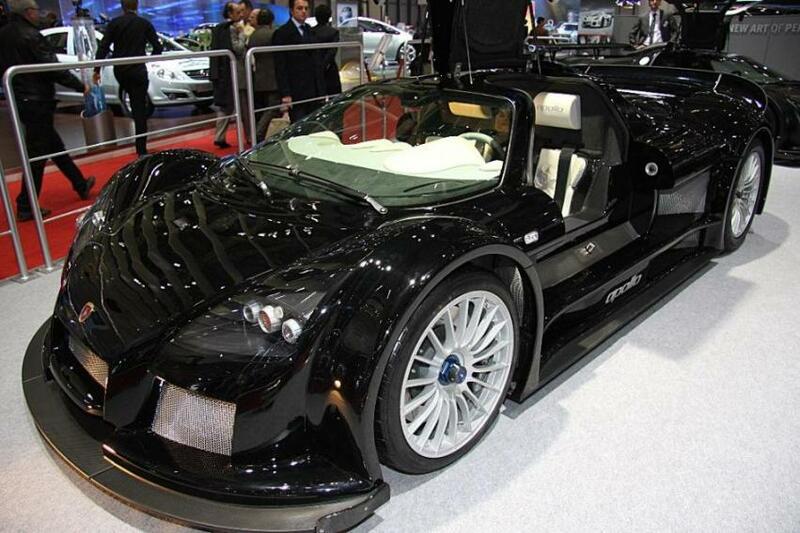 Additional Info: Essentially a street legal race car. 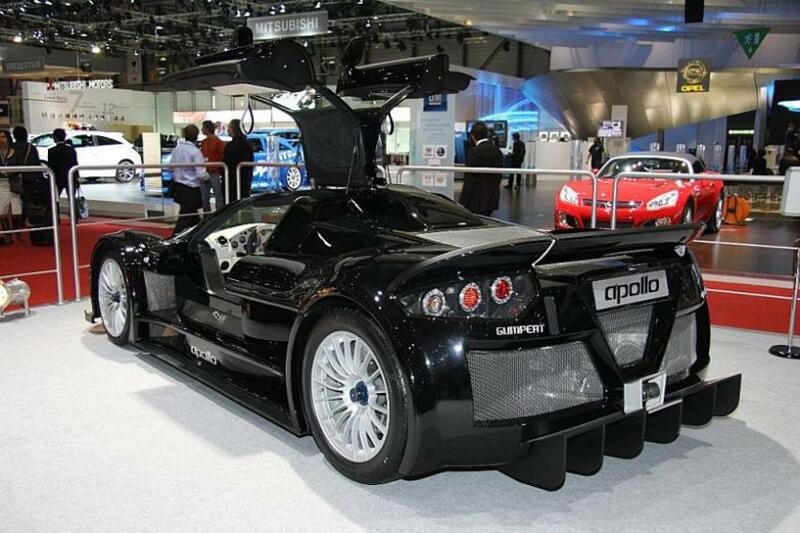 The Apollo was put into production in 2005 and could be ordered with varying states of tune from 650-800+bhp. 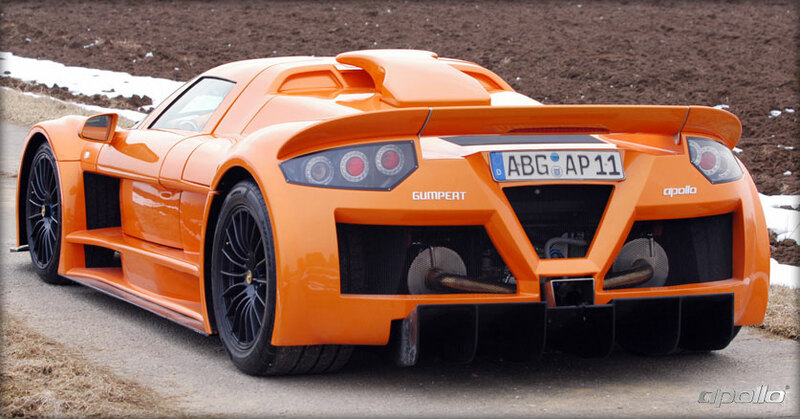 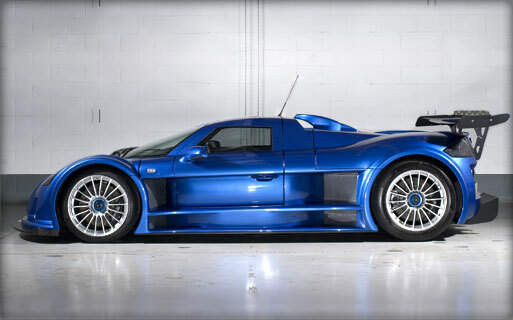 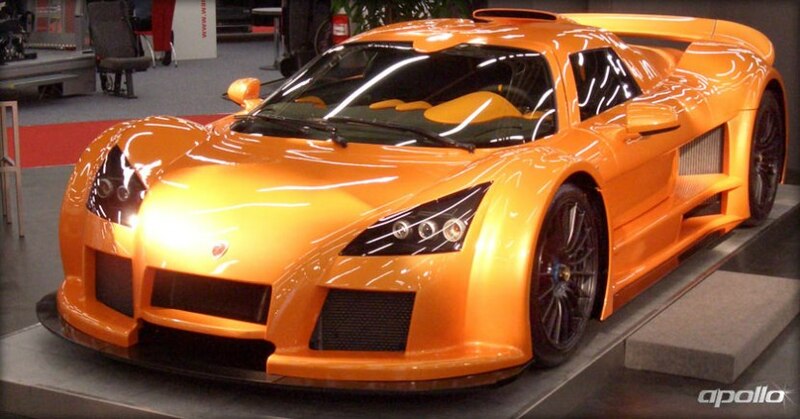 An Apollo Sport with near 700bhp was introduced in 2007 and had an extended aerodynamic package, which generates an amazing amount of downforce and according to Gumpert would be able to drive upside down at 190mph. 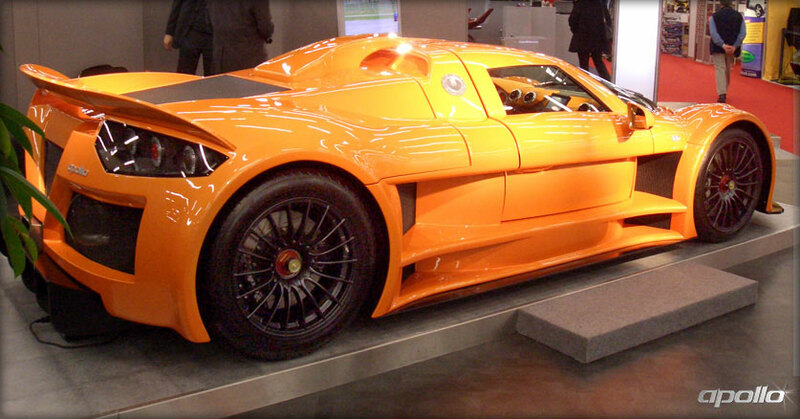 The Sport has been around the Top Gear track in 1:17.1. 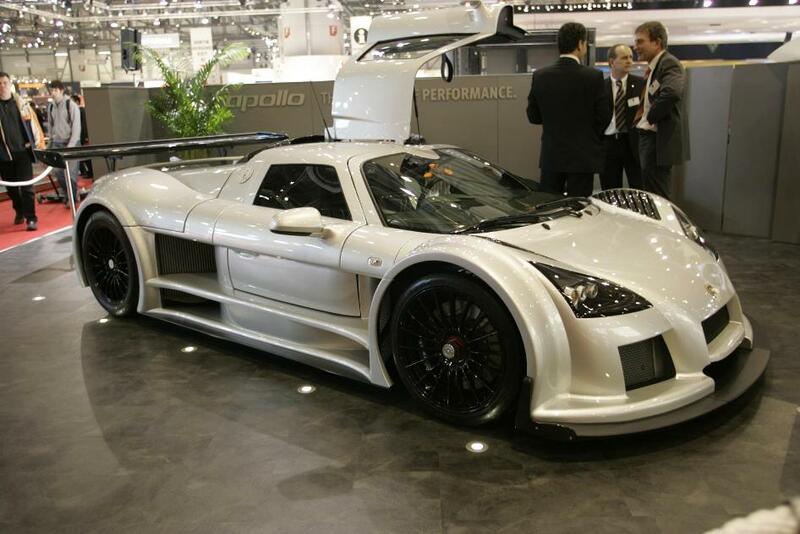 A hybrid Apollo was built in 2008 at the 24hr Nurburgring race, it had a 512bhp twin turbo 3.3 litre V8 and a 134bhp electric motor. 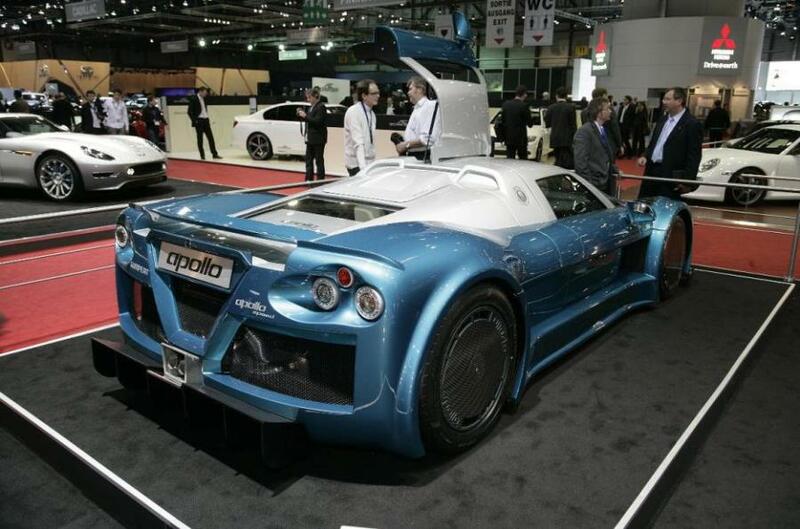 In 2009 the Apollo Speed was introduced with 691bhp and an even more aggressive look.